As co-owner of the meadow I was keen to see the management change. The field had been grazed on an ad hoc basis throughout spring and summer for many years previously and wild flowers had not had a change to flourish, apart from thistles and nettles. A new grazing regime was introduced in 2017 and the field is only now grazed from September 21st until the end of March. We sought advice about best land management practice to help wildlife, especially pollinators, from Cathy Horsley from the Bumblebee Conservation Trust. She wrote us a fabulous report with many recommendations. Increasing the number of wild flowers was one of the aims. The wild flower Yellow Rattle was sown that autumn on all the molehills and on any exposed earth in order to help suppress the vigorous grasses. An impressive amount of Tortoiseshell butterfly caterpillars were found on the patches of nettles we had left for them and we also recorded many species of invertebrates, plants and birds. 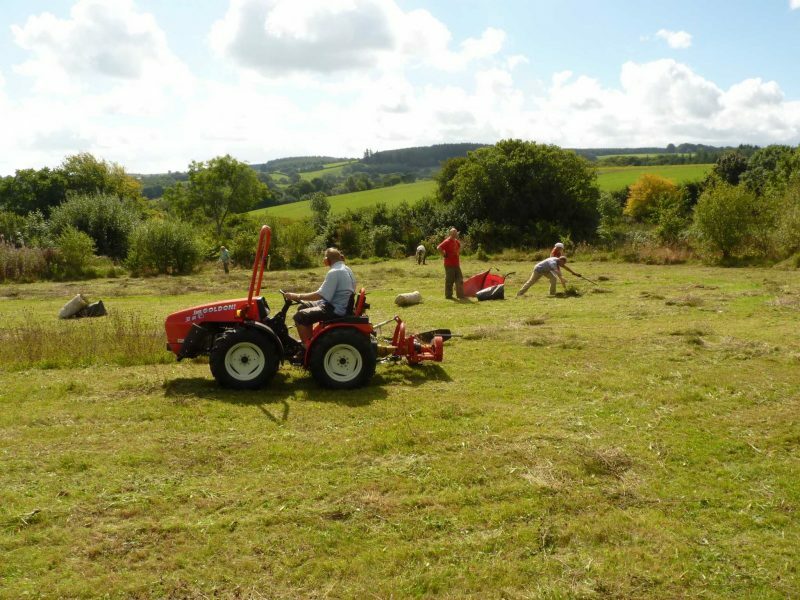 At the same time an attempt was made to scarify the soil and introduce some species rich hay. 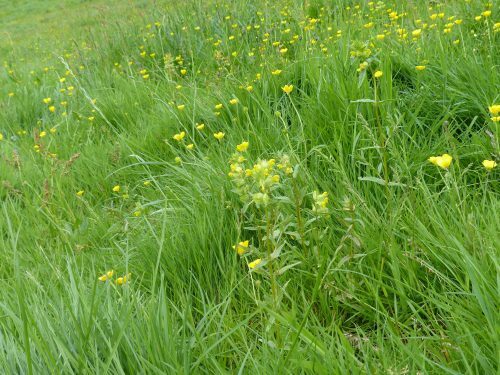 We did not expect that much in the first year as the ground was very dry and hard but we were pleasantly surprised to have a good take of Yellow Rattle and to see how the different parts of the field supported different plants. An impressive amount of Tortoiseshell butterfly caterpillars were found on the patches of nettles we had left for them and we also recorded many species of invertebrates, plants and birds. This year we are hoping it will be even better. 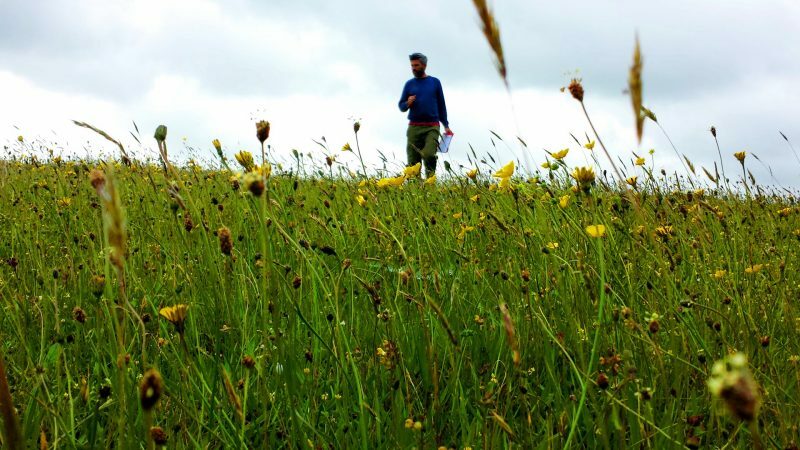 We are extremely fortunate to have Chantall Sorrell, another Moor Meadows member, as our new grazier as she is passionate about wildflowers and pollinators. We failed to take a crop of hay as the weather turned against us. 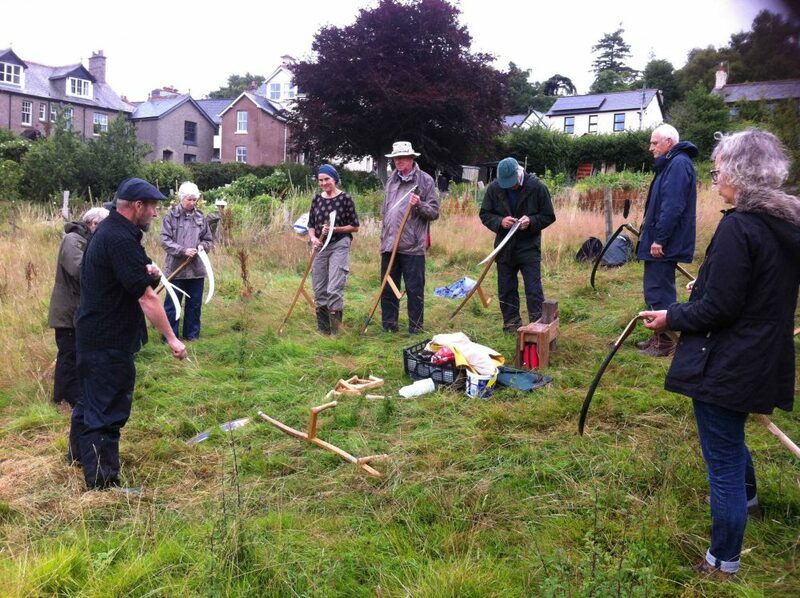 However, thanks to the help of Donna and Moor Meadows we held a scything training day for ten people with trainer Chris Riley. A large swathe of the field got cut. This year we plan to scythe pathways through the field and try and cut small patches throughout the summer to try and increase the biodiversity and not cut the whole field in one go, depriving all the creatures of their habitat in one swoop. The restoration of a species-rich down, which was cut for silage for many years on a working farm. 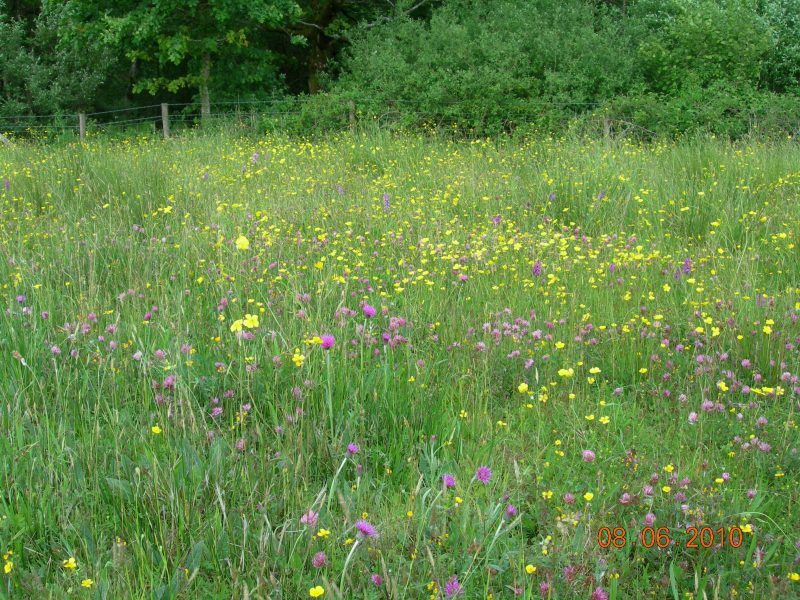 In the last seven years it has been managed as a hay meadow with an ever-increasing abundance of naturally occurring flora, including three types of orchid. 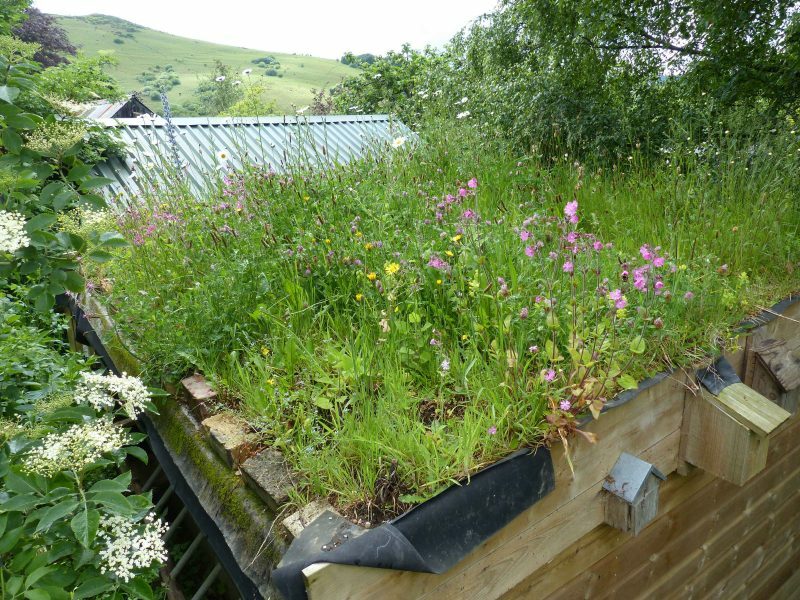 A meadow on a roof, inspired by those found on wooden cabins in Norway.